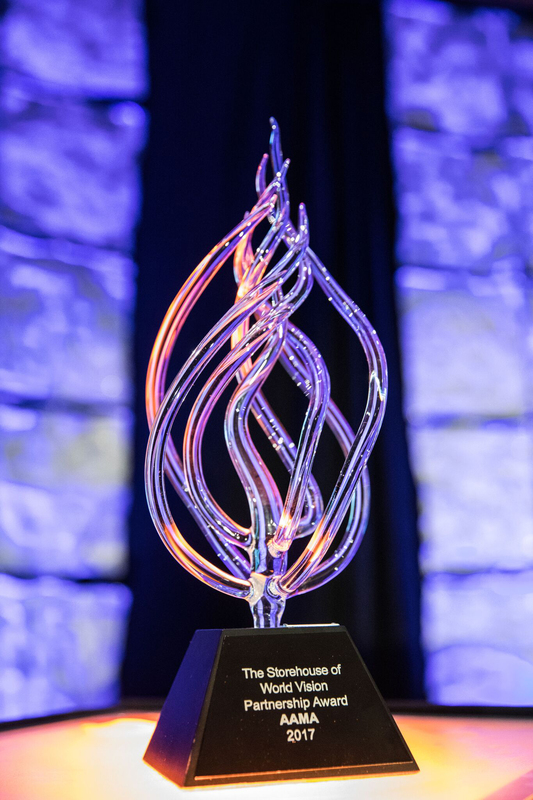 The American Architectural Manufacturers Association (AAMA) was honored to receive the 2017 Crystal Vision Partnership Award on Wednesday, as presented by World Vision at the humanitarian organization's 18th Annual Crystal Vision Award Breakfast during the 2018 International Builders Show in Orlando. 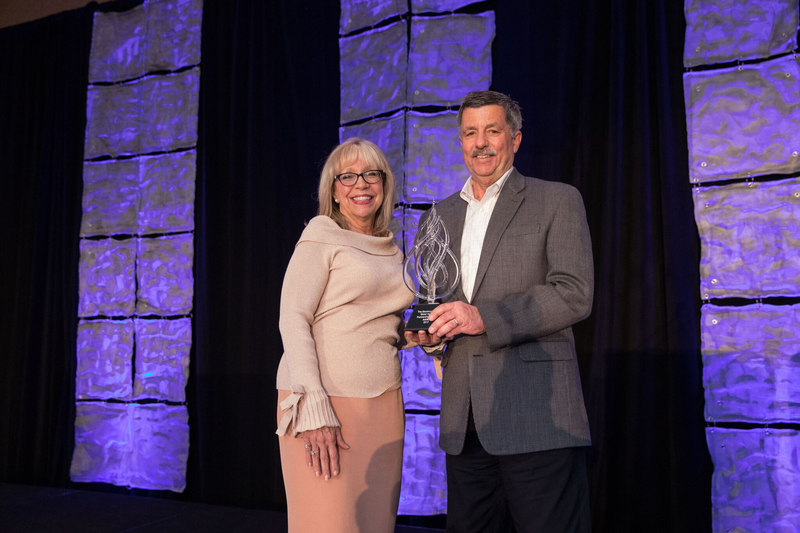 World Vision's Partnership Award is given each year to a company within the industry that has partnered with the organization's Storehouse Program for a minimum of three to five years. 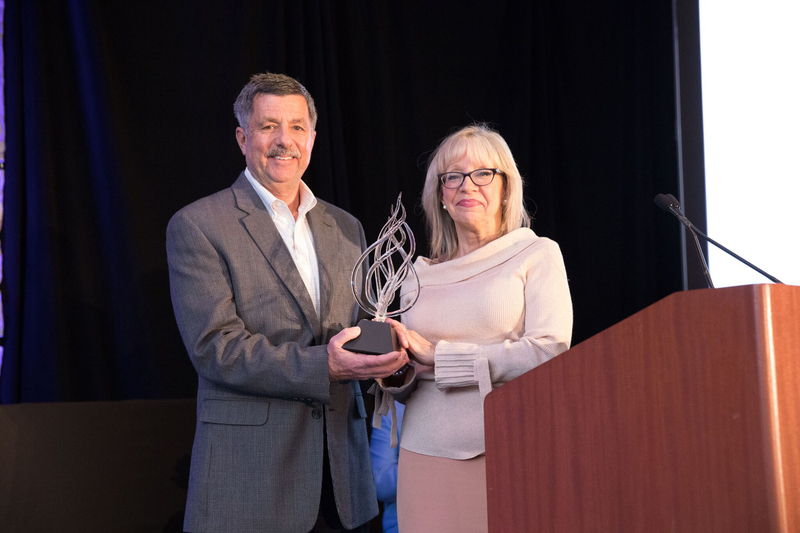 "I speak for all of AAMA when I say that we are proud of our teamwork with World Vision, and of the good that partnership allows us to do for those in need," said AAMA President and CEO, Rich Walker. "The Storehouse Program has long been a unique way for the leaders of the fenestration industry to contribute products to homes that need them the most." Through the Storehouse Program, fenestration product manufacturers can contribute excess products from their warehouses that benefit local communities. "It is an honor to present this award to AAMA," said Mary Garcia, World Vision's corporate engagement director. "AAMA has been the most critical link to procure products from AAMA members." Garcia attends AAMA events to build relationships with manufacturers and secure future donations. Many of these member companies are long-time supporters of World Vision in this effort, according to Walker. "Beyond the donations to the Storehouse, conference participants also roll up their sleeves to fill hundreds of backpacks with school supplies," said Walker. "Mary identifies a local school in need, then helps AAMA to coordinate getting those backpacks into the hands of students." The last school visited by AAMA members and World Vision was Hollis Academy, a Title I elementary school in Greenville, South Carolina. A total of 500 backpacks were filled and distributed during the event. More information about AAMA and its activities can be found via the AAMA website, www.aamanet.org.